Weber Shandwick has beaten off five other agencies to win an Olympic Games brief helping to promote Switzerland. It has been chosen by Presence Switzerland, the official body for the country’s comms abroad, to promote the country’s official guesthouse at the 2012 London Olympic Games. Focusing on the House of Switzerland, Weber Shandwick will be promoting the country throughout London in the run up to the biggest sporting event in the world. Presence Switzerland put the brief out to tender in May and shortlisted six agencies, with the brief reported at the time by PRWeek as being worth £100,000. Previously, Presence Switzerland used Fleishman-Hillard to promote its guesthouse at the 2010 Winter Olympics in Canada and Ogilvy PR in Beijing during the 2008 Olympics. 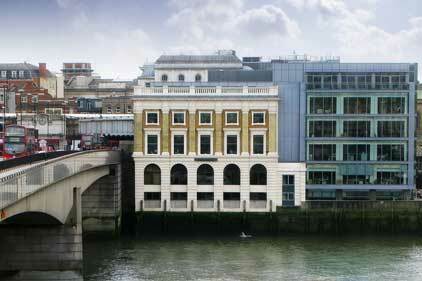 Based in Glaziers Hall on the South Bank, the guesthouse will be open to the public from 20 July to 12 August 2012. Marcus Smith, Weber Shandwick’s head of international affairs, said: ‘This is a particularly exciting assignment for us: everyone thinks they know Switzerland but part of our brief is to use the House’s presence at the London Olympics to show the world new and different aspects of the country. Presence Switzerland is part of the Federal Department of Foreign Affairs.